Hi all! 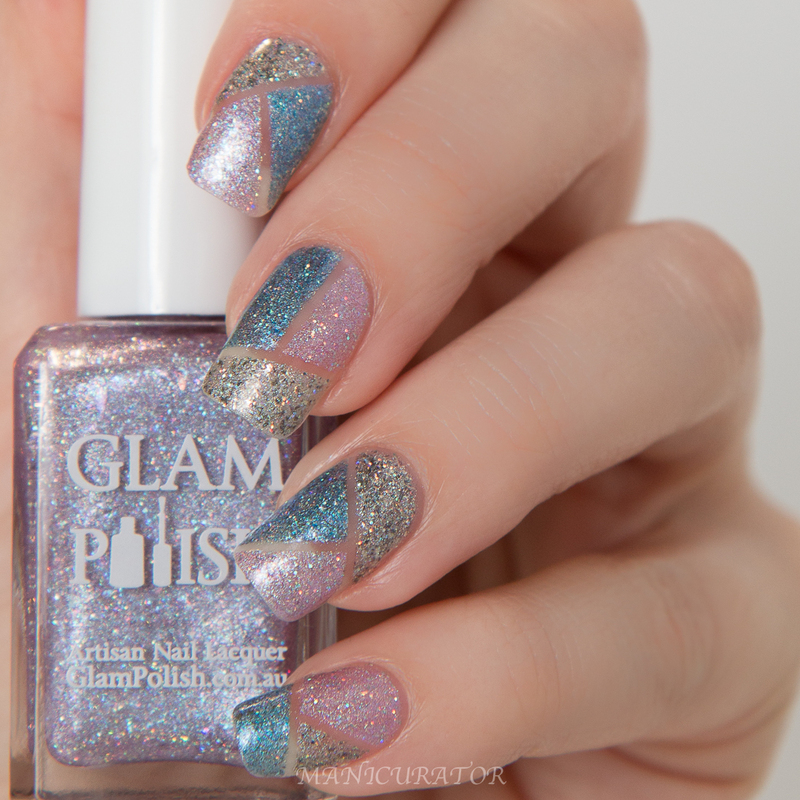 I'm excited to bring you more Glam Polish today! I always look forward to my Glam swatches because the formula never disappoints and I love seeing what Rachel dreams up next! This month we have shades from the Limited Edition Masters of Illusion Collection, nine amazing special effect shades with stunning mixes of flakies, holo, microflakies and color shifting glass flecks. I have one of the color shifting shades and the 3 sparkling shades to show you today. Glam Polish Deceptive Practice - Holographic base with ultra holo glitter, copper/green flakies, iridescent color shifting glass flecks and shimmer. I wanted to see how this looked on its own, without a dark base color. This is 2 coats! I love it, so beautiful and complex while still being subtle and very wearable. The formula for all 4 shown today was perfect. Color shifting shades - color shifting effects will be more visible when swatched over a base color. Deceptive Practice - Holographic base with ultra holo glitter, copper/green flakies, iridescent color shifting glass flecks and shimmer. Sorcerer’s Apprentice - Holographic base with ultra holo glitter, golden/green flakies, iridescent color shifting glass flecks and shimmer. Death Defying Acts - Holographic base with ultra holo glitter, pink/green flakies, iridescent color shifting glass flecks and shimmer. Escape Artist - Holographic base with ultra holo glitter, cyan/violet flakies, iridescent color shifting glass flecks and shimmer. Mad Magician - Holographic base with ultra holo glitter, violet/red flakies, iridescent color shifting glass flecks and shimmer. PREST-O CHANGE-O - Holographic base with ultra holo glitter, green/purple flakies, iridescent color shifting glass flecks and shimmer. I knew these three sparkling shades would go perfectly together! I did a simple striping tape - negative space - mani to show them each off. Now You See Me - Holographic base with ultra holo glitter, holo microglitter, sterling silver flakies and sparkly microflakies. 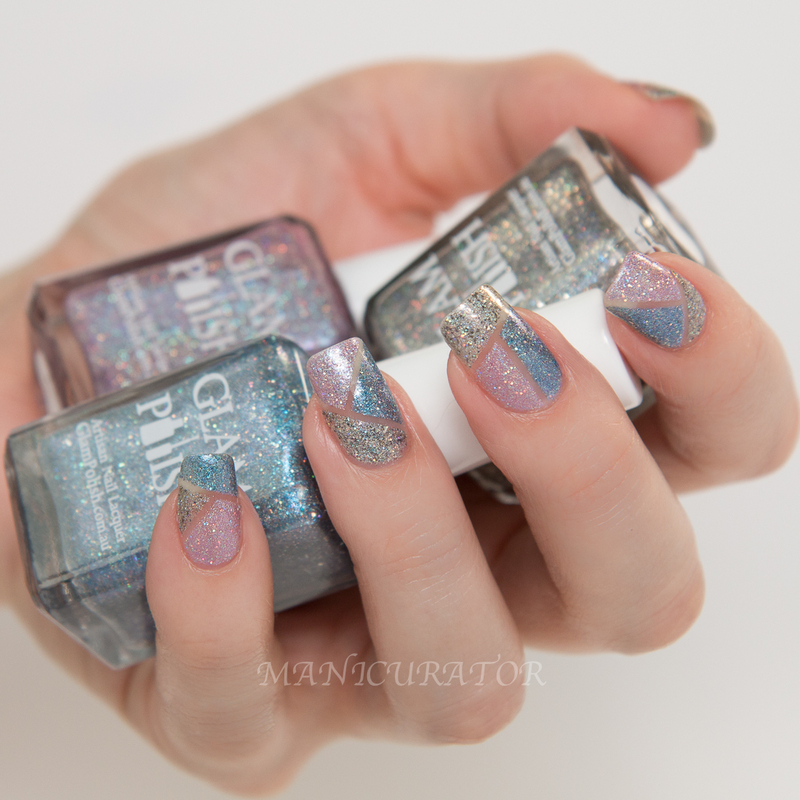 Catch Me if You Can - Tinted blue holographic base with ultra holo glitter, sterling silver flakies and sparkly microflakies, glass flecks and shimmer. The Prestige - Tinted light pinkish/lilac holographic base with ultra holo glitter, Iridescent rainbow flakies and sparkly microflakies, glass flecks and shimmer. 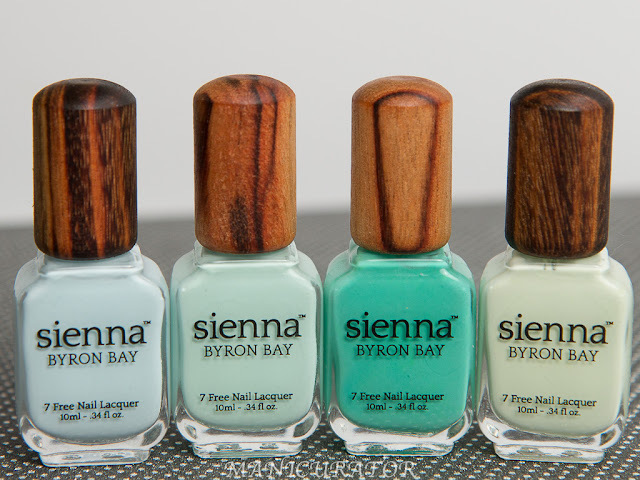 These were all super easy to work with and I have 2 coats of each shade here in this design. Now You See Me shown in photo above. Catch Me If You Can shown above. Love how this turned out. Are you planning to pick up any of these? 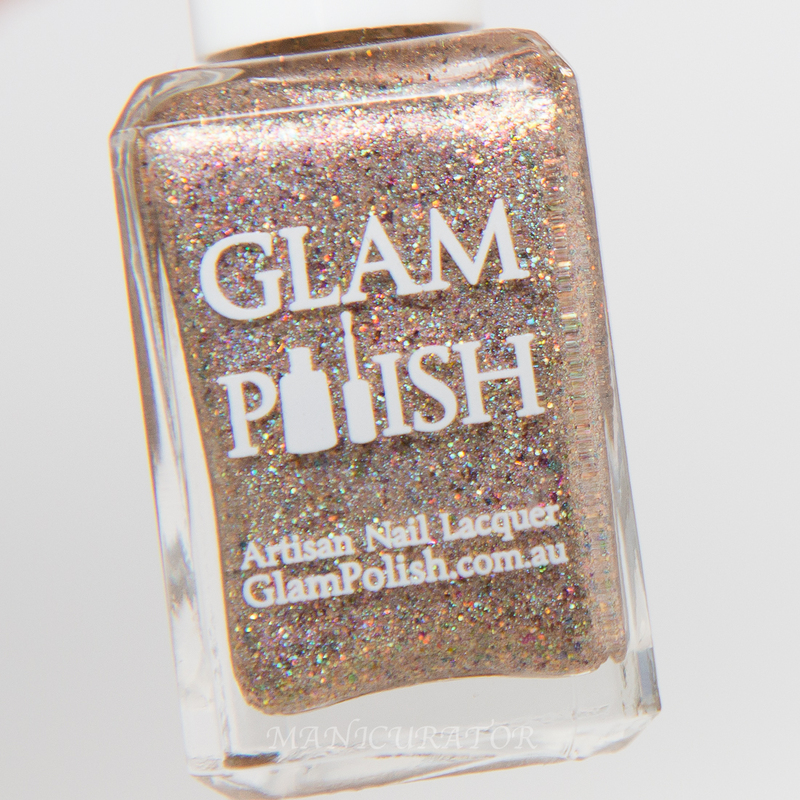 Official Release Date: April 1st 5pm EST (USA) from www.glampolish.com.au with shipping to Australia & USA shipping rates to USA are $3.50 USD for the first polish and an extra $1.00 for each additional polish. I love how that turned out too! I really like this color. I am not sure if it's the green color shift for just the glitter but it is a super pretty color. I also love your art design! It is super gorgeous!! 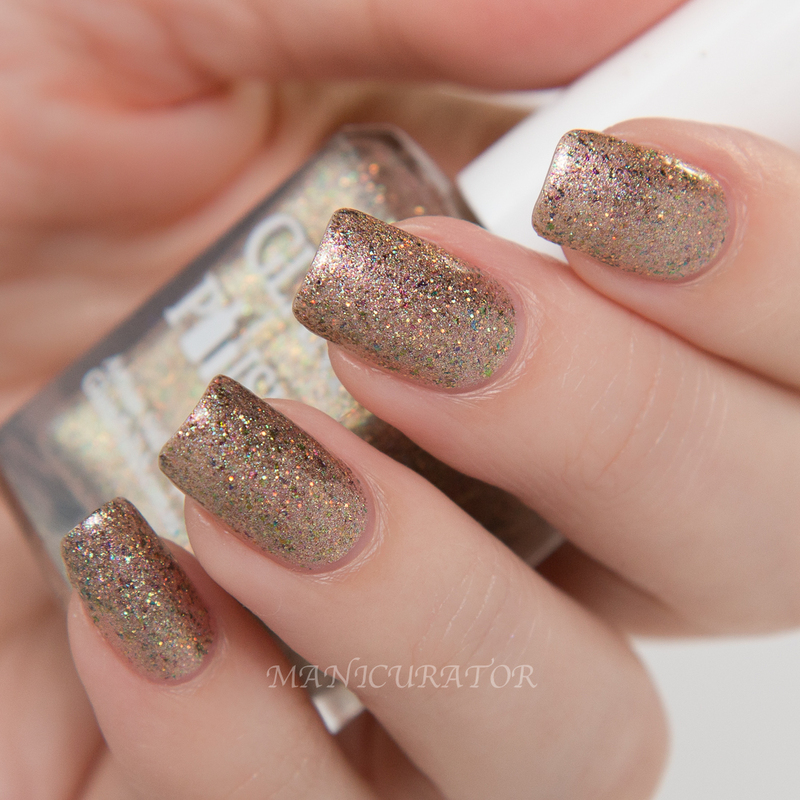 I adore golden coppery glitters and this one looks just perfect! 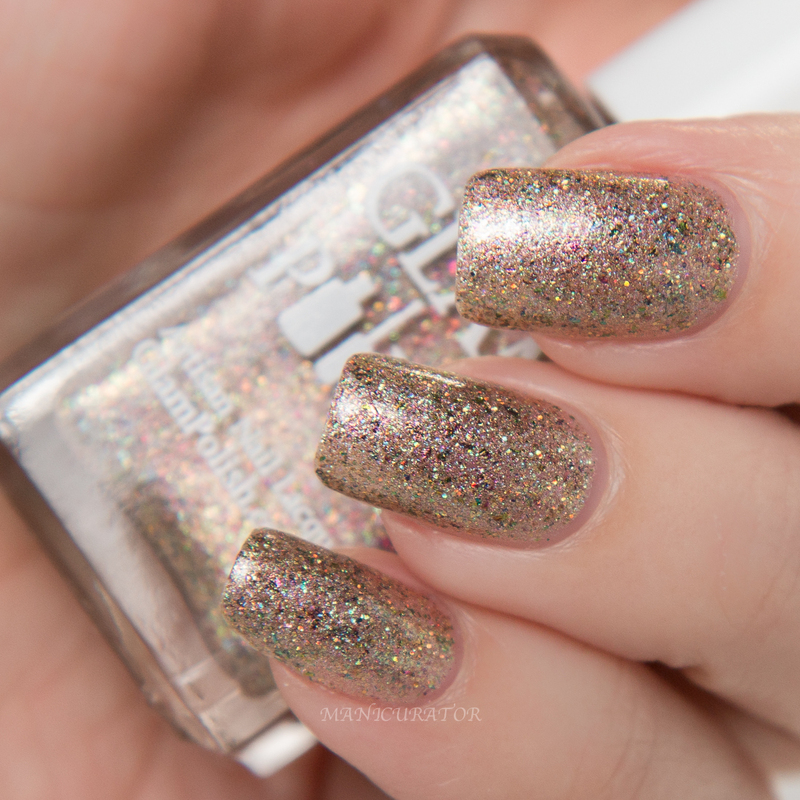 I love how Glam Polish manages to squeeze tons of glitter in the bottle, but the formulas are so good that they still lay really flat on your fingers even before the top coat. 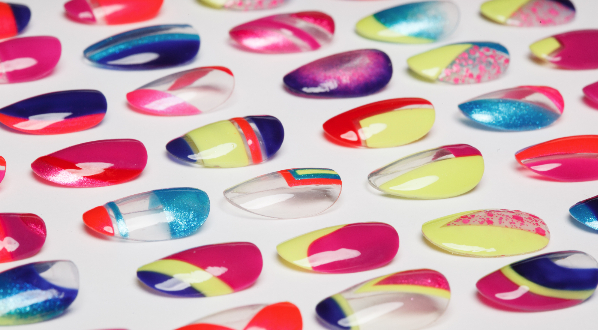 I want some glam polishes so bad now! Love your mani Vic'! These colors are perfect together ! 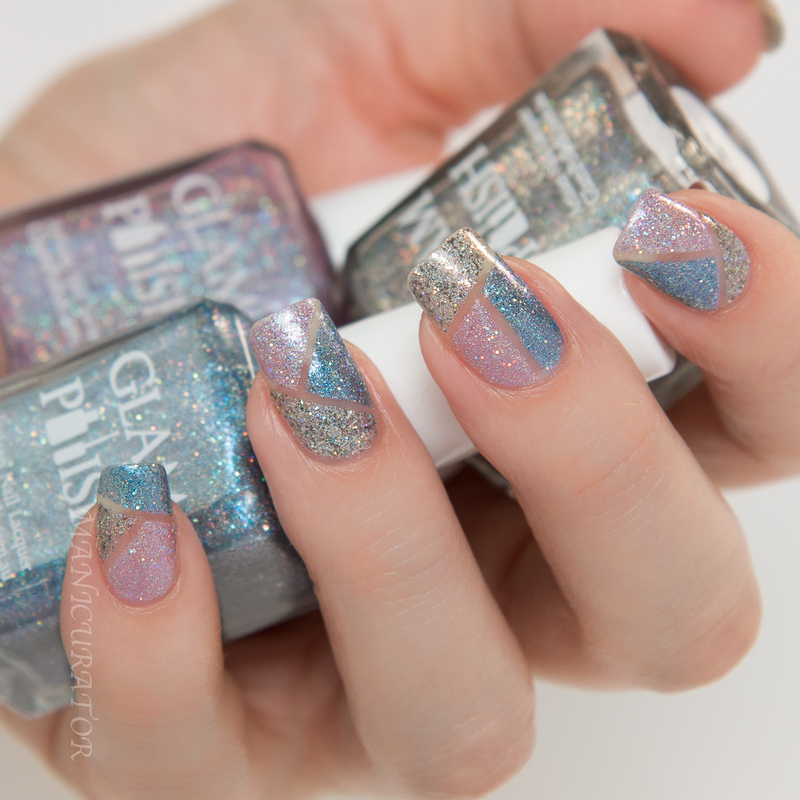 These glitters are so gorgeous! 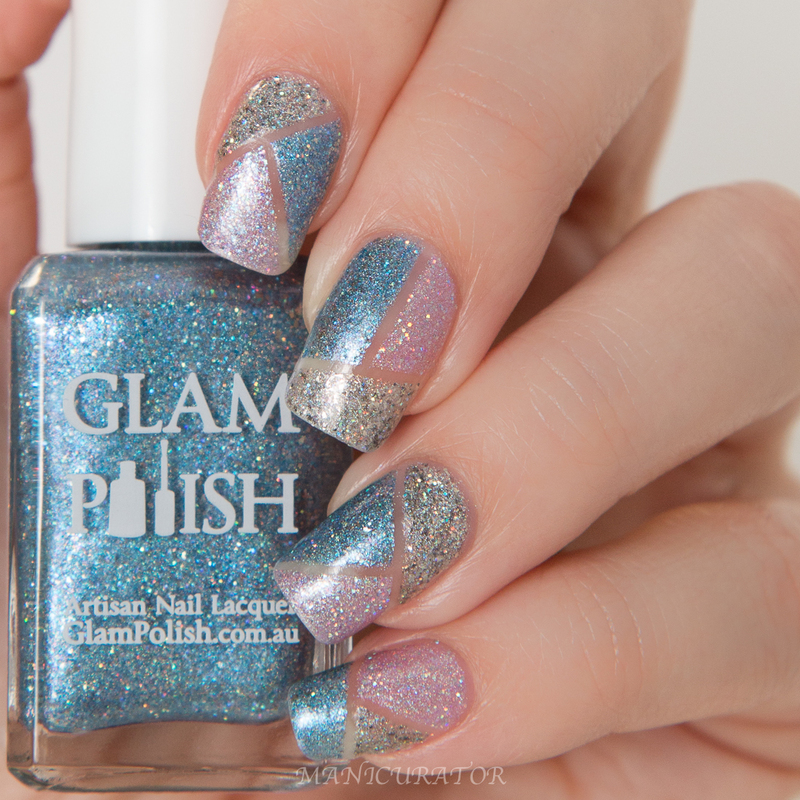 I love Glam Polish!! Gorgeous nailart you did, and I love how soft Deceptive Practice looks. 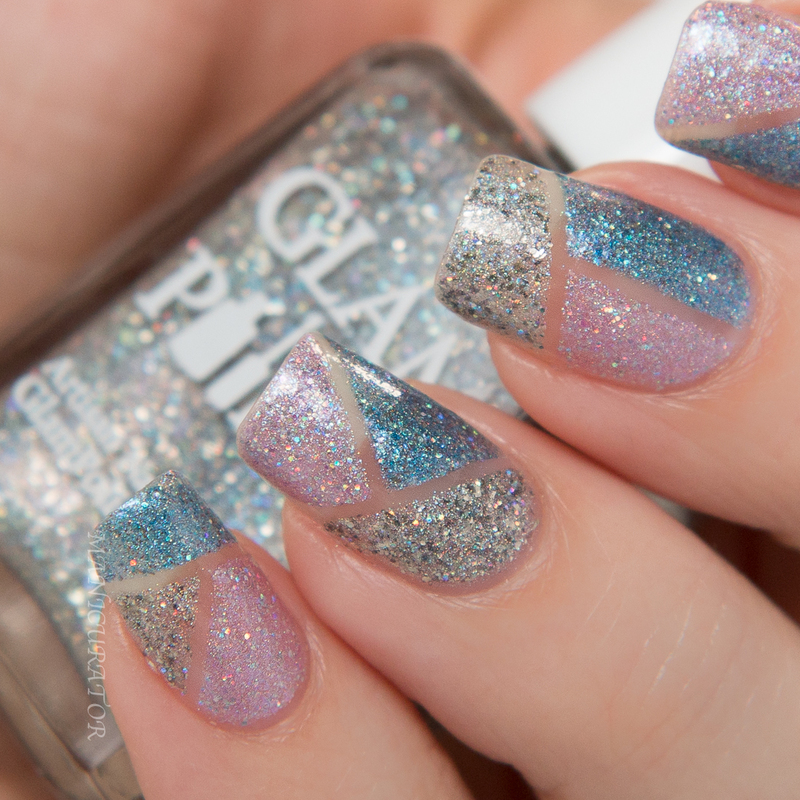 Love this soft and classy glitter manicure! Love the prestige, beautiful color. Thanks for sharing. 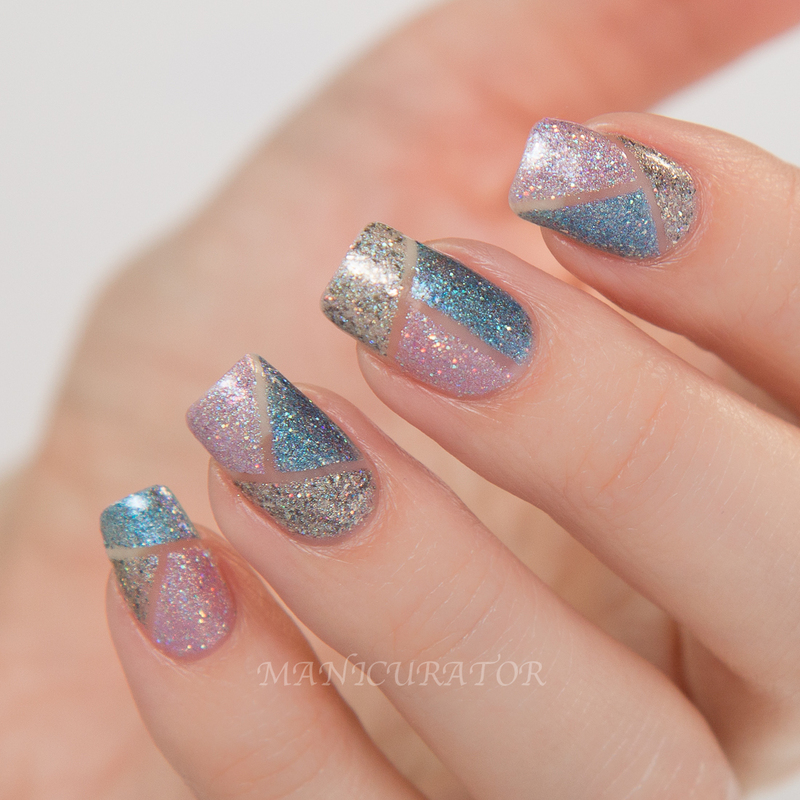 Oh wow, that's simply STUNNING, both manis!